It's the universal symbol for mischief. You toss it onto every teasing text message and you don't dare leave it out when you make a sarcastic jab! Sometimes, you might even add one to a playful email that you're sending to a pal. You know what we're talking about. That magical sequence of semi-colon, dash, capital P! Wouldn't be great if you could one for real life that you could flash at parties? 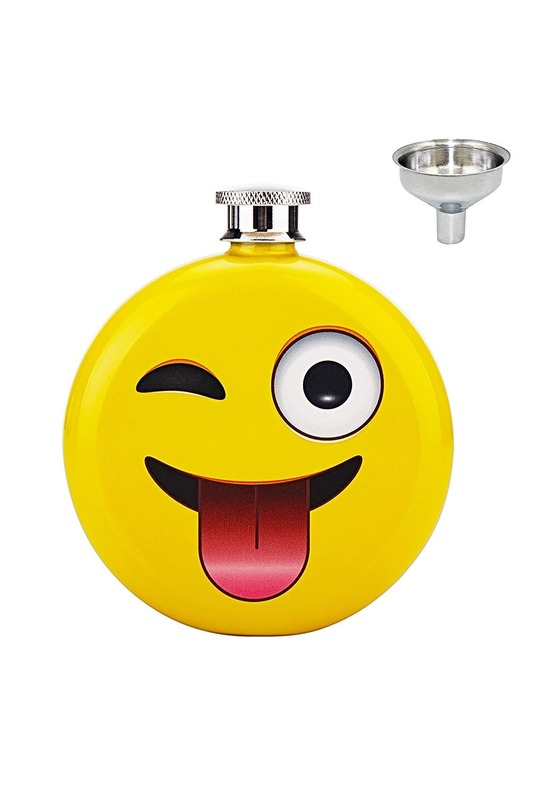 Well, with this handy Emoji Flask, it's never been easier! This convenient flask packs all of the great details of the Face with Stuck-Out Tongue emoji into a sweet party accessory. The flask is made out of metal and holds 5 ounces of your favorite beverage. 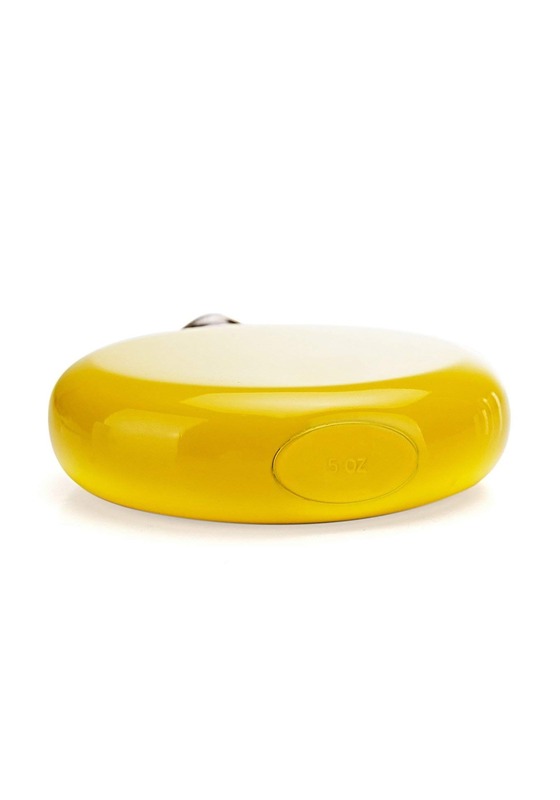 The exterior has a bright yellow paint job and it even has the famous emoji painted onto the side. Take it with you to the next party and you can flash a sarcastic emoji after any wisecrack. This Emoji Flask is a fun way to express yourself at your next party! It sort of makes any conversation feel a little more like a quick text exchange when you can flash this sassy emoji at them! Standard Capacity 5 oz. 5 oz.